It’s hard to believe it’s been 14 years since that first time ECO stepped into a classroom. What started as a program for 400 students in a single school has blossomed into…well, we’ll get to that. But first, since that fateful day in Canby, we’ve spent the subsequent 13 years racing around the Portland Metro area delivering our unique hands-on ecology programs in a dozen or so elementary schools, zealously applying for grant after grant, and seeking one donation after another, all in an effort to reach the underserved students in our communities. Then, in the spring of 2018, we felt it was time to set our sights higher - statewide. While we had intended on steering a gradual course towards our new goal, in actuality, it happened so swiftly - and serendipitously - our collective legs are still running to catch up. Our efforts all culminated in the Summer of 2018, when we were afforded the opportunity to take a few humongous steps. It was then that we absorbed three established, similarly aligned programs that expanded our geographical and programmatic reach substantially. 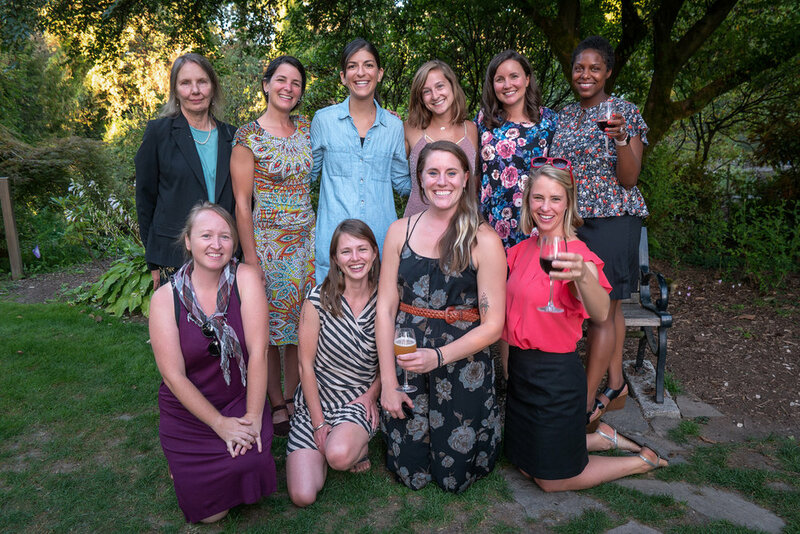 Through this series of mergers, we grew from K-5 to K-12, added after-school and summer programming, created an ECO hub in Eugene, and introduced our programs into schools on the central coast. Furthermore, we also threw ourselves headlong into curriculum development, building out our tried and true science lessons into multi-disciplinary place-based kits for eventual use by educators across the state. ECO went from a team of six to a team of 11, from 2,800 students across three districts to nearly 6,000 in 14. That’s 1% of all Oregon students in 90 days! We are so grateful for the schools, the parents, the volunteers, the grantees, educators, districts, partners, sponsors and everyone who has trusted us and led us to this moment. This opportunity to make these tremendous leaps! 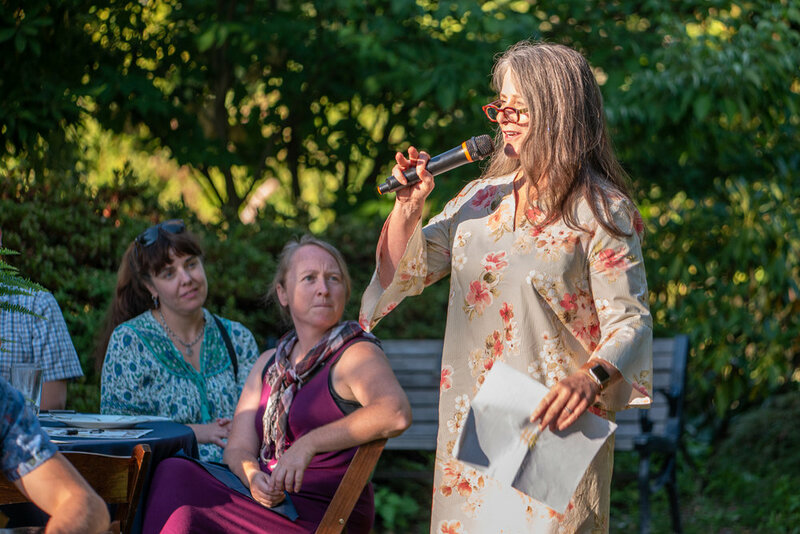 Last but certainly not least, thank you for the work of Jim Grano, founder of Siuslaw Stream Team in Florence, Oregon, Steve Kennet and Becca Strohm of Dig-In Community, and Lauren Rosenstein of The Green Schoolhouse for putting the legacy of their incredible programs in ECO’s hands. We are certainly stronger for it and take their trust in us seriously! In 1995, Jim Grano established the Siuslaw Steam Team on the central Oregon coast and anticipated by more than a decade the current environmental literacy efforts of the “Leave No Child Inside” movement and its goals. Jim has worked to bring ecologically-focused, field-based studies to elementary students in Florence, Mapleton, and Reedsport. His program, an integral component of STEM education, has given thousands of students a chance to learn hands-on and in the field about the natural resources of their area, and to participate in on-the-ground research and stewardship efforts. 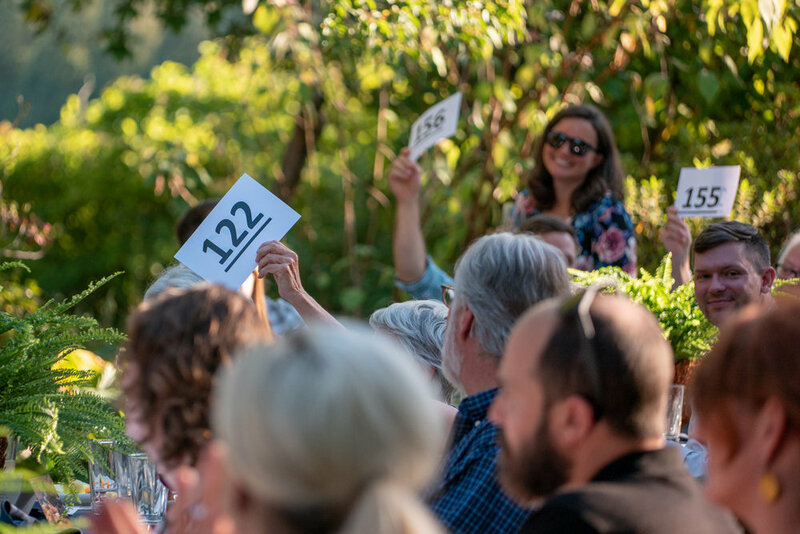 The Siuslaw Stream Team, with enthusiastic community support and through local, state, and federal partnerships, has been highly successful and has led to significant watershed restoration in the Siuslaw and Umpqua river basins. With Jim retiring, there is a need for this work to continue, and ECO is thrilled to carry on what he began nearly 20 years ago. Nearly a decade ago, Lauren Rosenstein founded the Green Schoolhouse, an outdoor summer camp and after-school program rooted in sustainability education. Last year, through a handful of conversations between Sarah Bercume (ECO’s co-founder and Director of Operations) and Lauren, a synergy emerged. Together, we could align our efforts, pool our strengths and resources, and do more for the families and communities we serve. Lauren is now ECO’s Program Director, bringing her programs, her exceptional management skills, wit, and tenacity along with her. She brings 15 years of experience in nontraditional education and nine in environmental education. 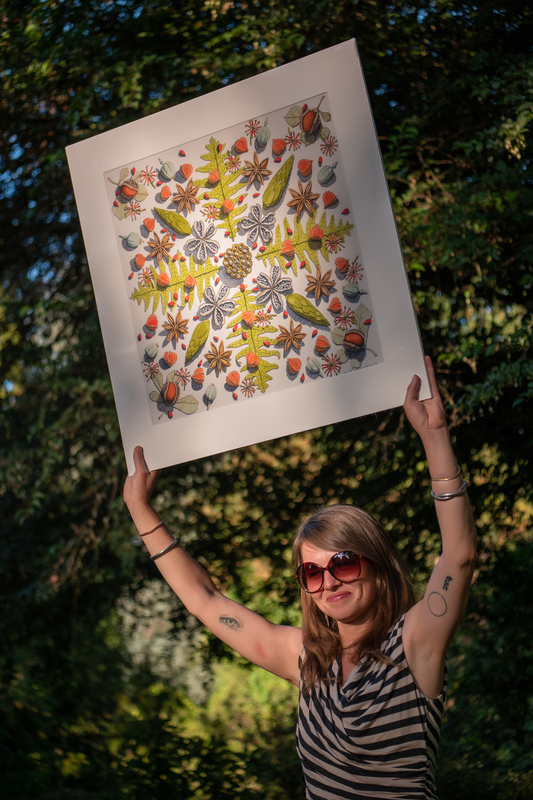 She graduated from the University of Oregon with a Bachelor of Science in Political Science and a Master of Science degree from Portland State University in Education, Leadership and Policy with an emphasis in Leadership for Sustainability Education and a certificate in Ecological Permaculture. The Dig In Community’s programs started under SOLVE in 2003 before splitting off and becoming a separate nonprofit in 2016. It was formed by Steve Kennett, Nicole Poletto, Karen Goldberg, and Ember McCoy to focus specifically on opportunities for young people to get outside, connect with nature, learn field biology and ecology while restoring local streams and wetlands, or by “greening the schoolyard”. When Steve decided to retire last year and proposed ECO continue their programs, we were enthusiastic - with Dig In’s strong emphasis on programs in grades sixth through twelfth, it was a natural fit. Additionally, Dig In’s dedicated Field Coordinator, Becca Strohm joined our team to lead our secondary programs. She’s an ace! She expertly guides the students and manages 15 different habitats in and around Portland. She holds a Bachelor of Science from Juniata College in Environmental Science. 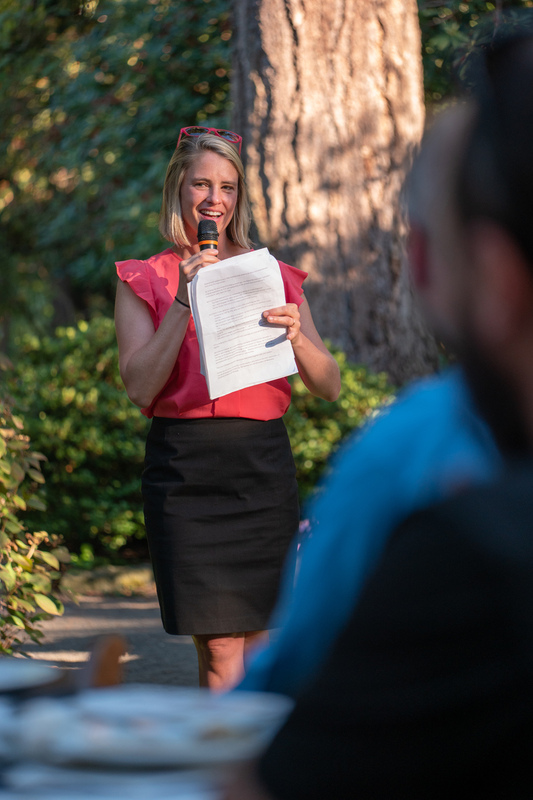 Her passion for environmental education led her from the East Coast to Oregon with AmeriCorps and a position with SOLVE as part of their Green Team (Dig In’s predecessor). 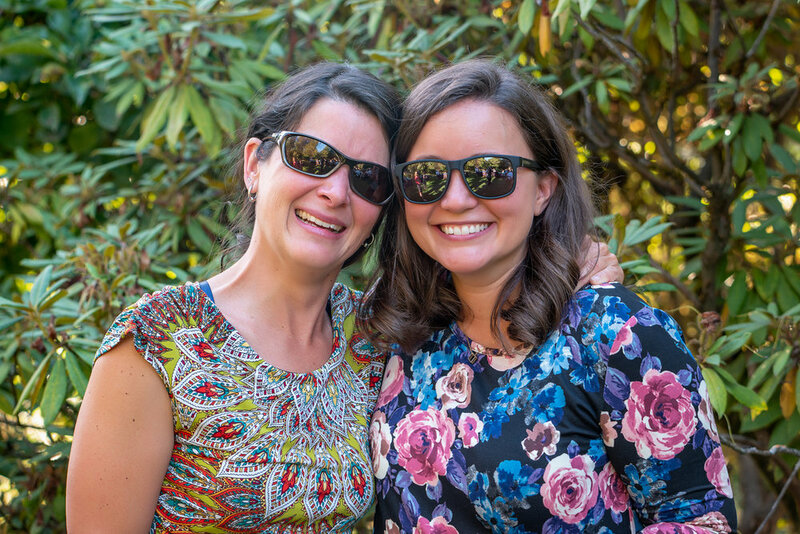 When her time was up, she headed back east to teach at outdoor schools in Rhode Island and South Carolina before moving back to Oregon to begin the Dig In Community. Earth Month 2018 flew past in a whirlwind of fun and energy! Our educators delivered 61 ecology lessons in classrooms about town and took students out on five field trips. We hosted our 2nd annual film screening, made new connections for our 3rd annual Earth Day Partner’s initiative, and participated for the 4th year in Lent School’s Earth Day Celebration. We’ve been enjoying all the activity! April brings milder weather, and along with it, a whole lotta field trips -- between now and the end of the school year, we’ll take 300 students out into nearby Oregon State Parks. And! Our kids will have BOGS rain boots for use in any spring showers, thanks to a recent Bogs’ 2% for Outdoor Education Grant. On one recent adventure a student discovered a new-found fascination with snails, collecting five slimy friends to accompany him down the trail. When another student complimented his collection, he said, “I love them. These snails are 40% cool, 40% fun, and 20% gross!” Well said! At our film screening, Look & See, we took a look at the life and times of Wendell Berry. His kinship with the land and call to know it (and care for it) as part of ourselves gets at the core of why we believe our work here at ECO is necessary. We see first hand how our students come to love nature the more they know of her - even her slimy creatures! The screening brought together over 100 individuals from our community who also got a dose of the ECO experience through virtual reality thanks to Wasim Muklashy from Superswell VR. Take a peek at the ECO experience with or without a VR headset! >> Thanks Wasim!! We served up tasty Brew Dr. Kombucha (thanks Brew Dr. for the supply!) and popcorn with a Jacobsen Salt bar (such a yummy treat!). 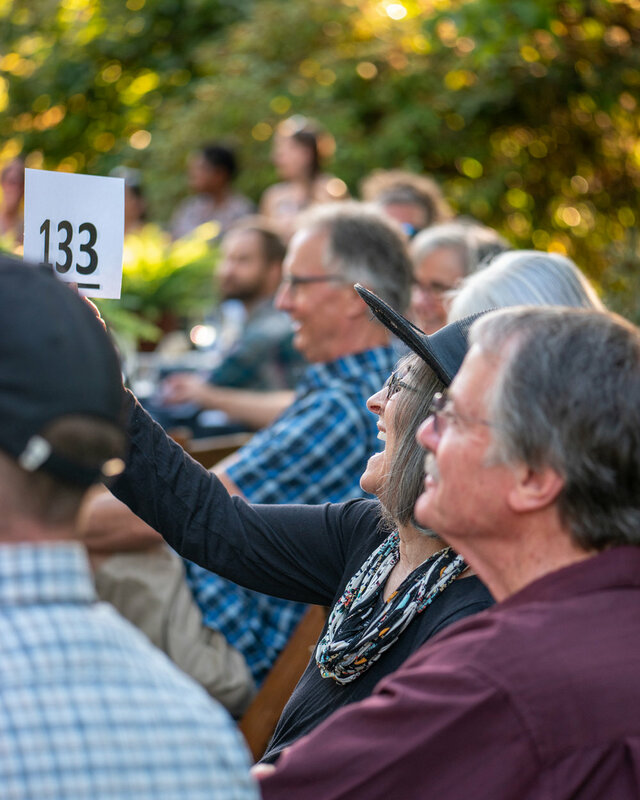 We couldn’t’ve done it without these fine folks as well as Serenity Ibsen, PNCA and generous sponsorships from Corporate Sustainability Collaborative, Heritage Bank, and Tiedemann Wealth Management. By the time Earth Day rolled around on April 22, we’d organized our third annual Earth Day Partners initiative with great success! 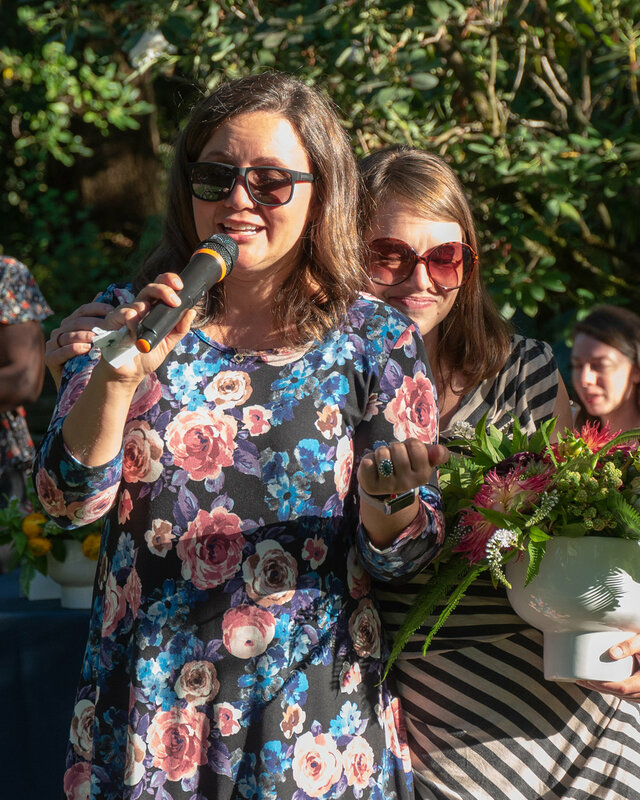 Our ever-dedicated and ongoing partners, Moberi and Townshend’s Tea Company, were joined this year by The Timbers Team Store, The Float Shoppe, Glassybaby, and Bloom Garden Supply. 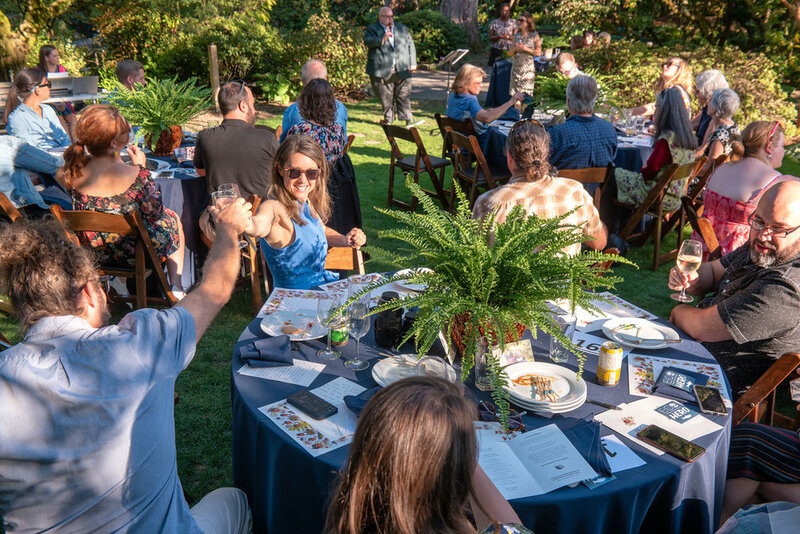 Every one of these partners contributed a portion of their sales to ECO which raised over $2,500 to support hands-on ecology programming that will get kids connected to their natural world. Thank you, thank you, thank you! It’s still a couple years out - but - Earth Day turns 50 in 2020! This is definitely something worth celebrating! #givingtuesday is a day to give back to the organization's in our community that are working year-round to make the world a better place. That in itself is a great reason to participate in #givingtuesday! But, if you want to give back AND perhaps win a prize, we're making that easy. Then you win, and so do the kids who get to participate in ECO programs. Donate $10+ via giveguide.org/#eco between 7am-9pm (PST) today, and you'll be automatically entered to win all kind of great prizes. In fact, we're actually running 4 contests today, so there are four chances for you to participate, and maybe even win!